Infrastructure (IaaS – Infrastructure as a Service) and Development (SaaS – Software as a Service). Studying at our state-of-the-art Cloud Competency Centre, you will gain experience with the latest design principles, models, and technologies in cloud computing. The course is delivered by faculty and industry practitioners with proven expertise in cloud computing. This computing course will appeal to computer science or engineering graduates, ICT industry practitioners, system administrators, and those with an interest in gaining practical experience in cloud computing. To be admitted as a student, an applicant must have earned a degree or equivalent qualification at level 8 on the National Framework of Qualifications. Students in their final year of undergraduate study can be admitted on the condition that their degrees are awarded before they enrol at NCI. Entry Requirements An honours (level 8) primary degree in a cognate discipline with a 2.2 award or higher. The college operates a Recognition of Prior Experiential Learning (RPEL) scheme meaning applicants who do not meet the normal academic requirements may be considered based on relevant work and other experience. This may be assessed using a portfolio of learning, demonstration of work produced, and an interview.This course has a BYOD (Bring Your Own Device) policy. Specifically, students are expected to successfully participate in lectures, laboratories and projects using a laptop computer with a substantial hardware configuration. 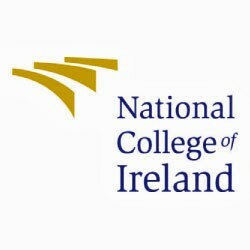 For information about National College of Ireland (NCI), please visit our College Profile page on Postgrad.ie by clicking here.